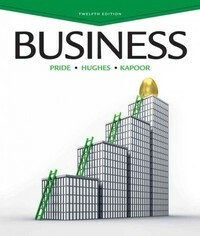 Business 12 Edition Any suggestions for copywriter or provide generic description of the product to be used for the Internet or non-channel specific applications. NOTE: If you have a book only version for this product, it is imperative that you provide a description that does not include any references to package elements. Available with InfoTrac Student Collections gocengage.com/infotrac.